I don’t know about you, but for me Terrapin Station and Eyes Of The World go together like peas and carrots, to borrow a phrase from Forrest Gump. They both engage my ears in the same way and conjure up similar feelings. I think that’s why they are songs that I rarely tire of. I’m sure I’ve said it before but Bob Weir’s playing on this song takes it up another level. (I was looking around on youtube for an example of the intro lick Weir plays and there’s a lesson available that looks like it teaches all of his parts. At this point I’ve covered Terrapin Station enough that I’m not really sure what else to say. I think the song speaks for itself beautifully though and this is a really choice version from a hot show all around. This is definitely one worth having in your collection if you ask me. Enjoy! Jerry chops away at the opening chords, and everyone else slowly falls in to the song – Weir, Brent, then Phil and the drummers. The intricacy of Weir’s playing on Terrapin Station is really a thing of beauty. He plays in fits and starts with delicate, sparkling runs and flourishes at all the right moments. Listen right before the first solo at around the 3 minute mark, I believe it’s Jerry plays a lovely little triplet figure several times; A gorgeous nuance. By the time the second instrumental section rolls around the vibe is much different from the big man. Instead of the “play-off-the-melody” approach there is a more relaxed and exploratory environment, almost what you would expect to find in the middle of a Dark Star, Other One, or Playing jam in the 72-74 period. It doesn’t go that far out there, but you can hear the roots. An enjoyable transitional jam regardless. Phil brings them back to solid ground, and we leave the lady with the fan behind, slowly chugging into Terrapin Station itself. 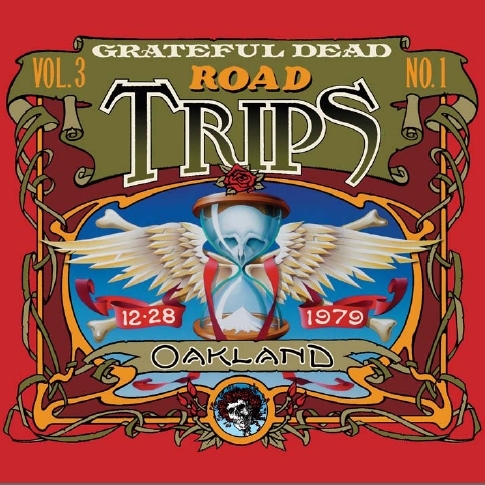 As the band runs through the various sections of the song it becomes clear the route one must ride to get to Terrapin. Phil drops a sick little bass fill at 11:57, do listen for that as it’s a thing of beauty. The jam continues with grandiose sounding runs from Garcia and moaning waves of sound from the various six-stringed instruments. A subtle change in direction sees the band moving toward the familiar tones of Playing In The Band.